Ladakh, which literally means the “land of high passes”, is an amazing beautiful travel destination in Jammu and Kashmir. This amazing tourist destination in India is well known for its beautiful mountains and natural beauty which makes it more popular among the travelers. Ladakh is one of the least populated places in Jammu and Kashmir, but is noted for its amazing natural beauty that it possess. The amazing natural beauty and the presence of rare species of animals and birds makes this place more special. Off all the features in Ladakh, one of the major factor that drives travelers to this beautiful place is the abundance and scope of various adventure activiites. Due to its unique landscape, Ladakh has a lot of travel destinations which are considered ideal for adventure activities such as river rafting, mountaineering and trekking. Ladakh offers a unique river rafting experience one would be able to explore the natural beauty of the spectacular landscape with deep gorges, hilltop monasteries, towering snow-capped peaks, hillside villages, and unique wildlife. River rafting in Ladakh is mainly done in the famous river Indus and its major tributaries. For those who are expert in rafting, then the region between Spituk and Nimu or Saspol is considered to be the most ideal place. Taking a river rafting ride along the Indus, helps you to enjoy the amazing beauty and landscape associated with Ladakh. There are a lot of tour operators and travel agencies that offers customized river rafting packages for the travellers. For those interested in a bit more and tough rafting experience, then the Zanskar River is the best place to be. River rafting in Zanskar river is considered to be the best place for white-water expeditions, and the river adventure over here is usually prepared for about a week of rafting and camping, and that too in absolute wilderness. Participants are usually trained rafters and the arrangements for the rafting expeditions are generally made by any of the professional adventure agency, which includes enough arrangement for rescue back-up and similar things. Mountain Climbing is another major adventure activity that makes Ladakh so famous. Some of the major ares for mountain climbing in Ladakh include the Nun-Kun massif in the Great Himalayan Range, the Stok-Khangri massif in the Zanskar Mountains, south of Leh and the Karakoram Range which is to the north of Leh. The best time for mountain climbing activities in Ladakh is between May to Ocotber when the climate is pleasant and more ideal for adventure activities. Another major adventure activity that can be undertaken in Ladakh is Trekking. The mountain slopes, the ancient monuments, monastic settlements etc all makes Ladakh a dream destination for adventure trekking activity. 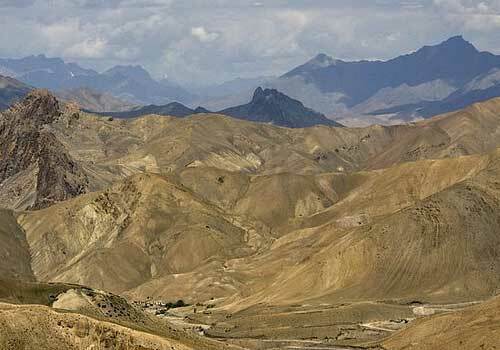 The most popular trekking activity in Ladakh is the one from Lamayuru in the Indus Valley to Darcha in Lahoul, across Zanskar Valley and this trek almost take 3 weeks to complete. There are also longer trekking versions such as the the 11-day Lamayuru – Padum traverse, 10-day Markha Valley trek and the 4/5-day Stok-Khangri round treks. 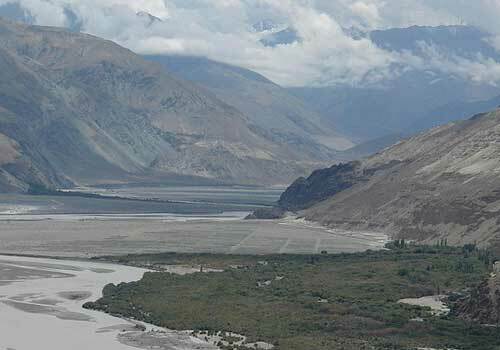 The area between the Indus and Shayok valleys, are also considered as the best place for trekking. The best time for trekking in Ladakh is from June to October as most of the routes will not be in a good condition after that due to the extreme cold climate that prevails in Ladakh. So if you are travelling to Ladakh, plan it for atleast 10-14 days so that you can cover some of the major adventure activities that can be done in Ladakh and make your trip to Ladakh a memorable one. This entry was posted in South India and tagged adventure activities in ladakh, adventure travel in ladakh, adventure travel ladakh, ladakh travel destinations. Bookmark the permalink.